It's T's turn for the kids make and bake club you tube channel today. 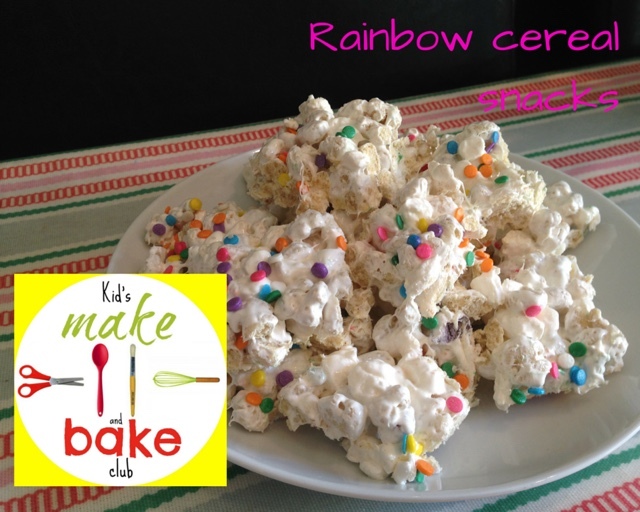 He made these delicious rainbow cereal snacks, just perfect for a special treat! You can subscribe to the Channel and watch our video below.